At this website you can find information about the released cd’s, concerts, workshops and background information about the wonderful impact of mantras. Hein Braat has studied mantras and the impact of sound for more than twenty years. Throughout this time he developed his own unique sound and vision. Hein Braat has released five cd's. Here you can listen to samples and learn more about the backgound of mantras. Mantras have a profound effect on the body, mind and soul. Modern science starts to (re)discover more and more secrets of this ancient recitation art. Hein Braat performs regularly in the Netherlands.The program can be found here. Questions or reactions? Feel free to contact us. 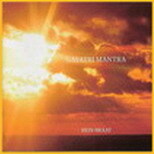 Would you like to buy a cd of the beautiful mantras? In the webshop you can find the complete range of Hein Braat's cd's.